This definition given by the ADA is very comprehensive and covers a whole lot of points. 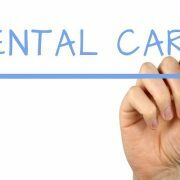 Firstly, the clause “age-defined” points out that, pediatric dentists have no limitations on the type of treatments they offer and it is specifically done for infants and children through adolescence till a specific age. The primary and comprehensive care part signifies that there is no need for a referral of patients. Parents can get their children treated just as they do it with a paediatrician. 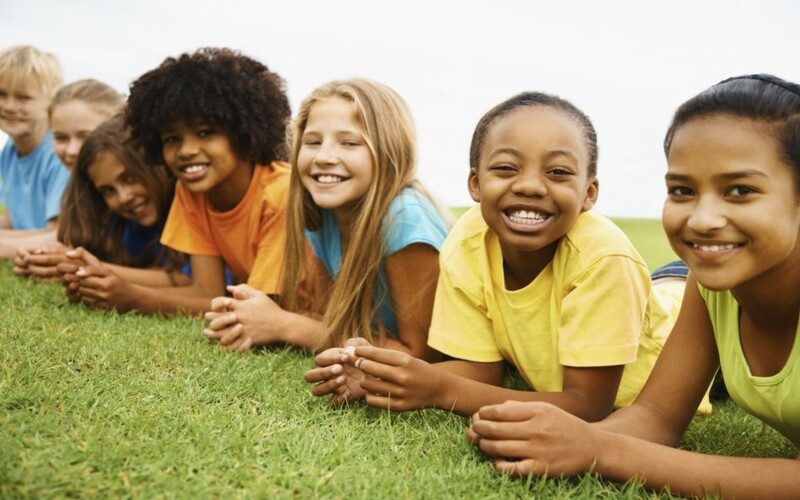 The definition also lays out that pediatric dentists will treat children right from infancy till their late teens. Unfortunately quite a sizable percentage of America’s children population suffers from serious dental diseases that are potentially dangerous. Unlike other diseases like flu or cold these won’t go away unless they are properly treated. These serious diseases are required to be done with the utmost of care so that the young patients are comfortable. If left untreated these diseases could lead to serious repercussions like mental problems. So the need of sedation arises while treating them. 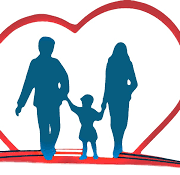 The AAPD takes the best precautions possible to ensure that no accident takes place which might result in the child getting injured or even dying. Till date, there hasn’t been a single case of morbidity or mortality in the AAPD’s records. Sedation dentistry is the term provided to the method of providing sedation to the patient for undergoing a vital dental operation. It generally helps the patient to lose consciousness and thus track of time. He may feel that the operation lasted only for a couple of minutes while it may have taken up to many hours. Many people suffer from the common phobia of visiting the dentist. 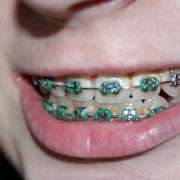 Accordingly, negligence in taking care of teeth leads to numerous diseases. These diseases are often of a very serious nature. The process of sedation dentistry helps addressing these problems by lowering the patient’s apprehensions. Treatments of a very serious proportions and which might have generally taken many sessions are completed in a couple of sessions. Almost all the dentists are offering sedation dentistry nowadays but the level of experience varies from dentist to dentist. The meaning of the word ‘sedation’ as defined in the Oxford dictionary is to administer someone with a drug to make him or her drowsy or asleep. It affects the central nervous system of the human body and produces an overall calm and relaxed effect. The various types of sedative drugs are tranquillizers, sleeping pills and anti-depressants. These can be administered in a variety of ways. In the past, IV sedation was use to sedate dental patients. Now with the growth in technology, oral and inhale sedation are also available. These methods are very popular with the patients as compared to the IV sedation. Sedation dentistry has given an option to many people who were scared of suffering pain during the treatment. When the sedation is administered, a person doesn’t sleep off, he merely feels sleepy. Therefore, sedation dentistry should be termed as sleep dentistry. In case of existence of some complex medical problems, sedation is not used. In its place, general anesthesia is used which induces a deeper sleep. Sedation puts patients in an alleviated state and thus making them feel or remember very little of the actual process. Sedation dentistry is used on children albeit in restricted doses. Most children have a phobia of the dentist. So this is used to calm and soothe their inhibitions so that the dental surgery can be carried out. Also, it helps alleviate the fear so that it doesn’t haunt them in their adulthood. Often it becomes very necessary to be treated by a highly experienced sedation dentist because some cases require a high dose to be given. A dentist having additional trained expertise should administer these doses as these are very sensitive cases and a minute mistake can result in death. The different methods of sedations administered are oral conscious sedation dentistry, inhalation conscious sedation dentistry, intravenous conscious sedation dentistry and intramuscular conscious sedation dentistry. Patients administered oral sedation are not allowed to drive a car 24 hours following the appointment. It is generally given to the patient an hour prior to the appointment. Sedation by inhalation uses nitrous oxide. This is the most common method used by almost 35% of all American dentists. The advantage of this method is that the patient can resume his activities almost immediately after the treatment is done. IV sedation is not as readily available as the aforementioned types of sedation but it is one of the safest methods for complex treatments. Dentists using this method are given advanced training and certification by their state dental organizations. The last method is intramuscular sedation. This is a pretty effective method of sedation in cases of adults having mild dental anxiety. It is used more in case of fearful children. This sedation takes effect in 20-30 minutes after being administered. Coming back to pediatric dentistry, most parents or guardians are unsure as to when should be their child’s first dental visit. Some parents might even be advised by their family dentist not to take the child for a check-up until all the primary teeth are up. This may take 2-3 years at an average or in some cases even 6 years. Such type of delay can lead to unfavorable dental conditions which might not be in the best interests of the child. The AAPD asks parents and other care providers to have the child examined on the completion of 12 months. 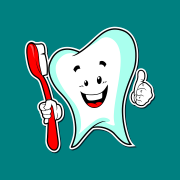 Here the pediatric dentist generally records the medical and dental history of the family and the child. During the first visit the parents are asked to stay back in the clinic. The main aim of this visit is to find out the child’s risk of developing oral or dental diseases. The pediatric dentist also determines the correct pace of development of teeth, that is, how many teeth at a particular age. 1. Teeth must be present. The teeth start to erupt generally by the end of 6 months. By 12 months a number of teeth start to grow. All the upper and lower incisors have already erupted by the end of 12 months. The bacterium that is the cause of Caries is Streptococcus Mutans. It doesn’t appear until after the eruption of teeth in the infant. The Streptococcus mutans in itself doesn’t adhere to the teeth but it requires other bacteria to form a colony. The food that acts as the food for the bacteria is generally milk, juice or any other sweetened food. There must be a prolonged period of time for the bacteria to carry out demineralization of the teeth and take its toll. The bedtime bottle of milk is usually the most dangerous. If it is diagnosed early then re-mineralization can be carried out but if it has already reached a higher stage, then extraction may be the best option. The pediatric dentist advises the best course of action to follow for the parents. Very young children may need sedation for the treatment. 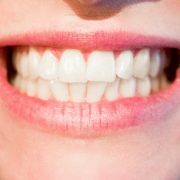 People generally have a high degree of trust on the dentists they have been going to for treatment. So when they have to seek a new dentist for whatever reasons such as after moving to a new area or just due to some other reasons, they land up in a soup. Their judgment is impaired by the pat experiences and they tend to make wrong decisions. Moving to a new area or just finding a new dentist, these tips would help you greatly. If you are moving to a new area, then ask your old dentist if he can refer someone to you. Some good sources to ask for new dentists even if you are staying in your old area are friends, family members, church members, co-workers, and your pharmacist. A good way to get detailed information about all dentists in your area or the area of your interest is to go online. Web sites usually provide exhaustive information on doctors and medical practitioners. A call to the nearest dental school clinic can also yield results. Now that you have found a number of dentists in the area, the next step is to check out on them. One of the most important things to figure out is the distance of the clinic from your home. It should be at an accessible area, not being too far off. The clinic could also be situated near your office. Find out whether it would be easy to get appointments suiting your needs. Look around for the cleanliness of the clinic and the instruments. The instruments should be properly sterilized otherwise there’s a risk of contacting diseases. The dentist should be wearing a glove, mask and gown. The interaction between the dentist and his staff should be cordial and peaceful. Now speak to the doctor about your dental history. Explain to him any problems and treatments in your past. Notice the manner in which he explains the preventative measures and treatments to you. Would you be comfortable sharing all concerns? Clear all the matters relating to fees, payment and insurance. These should be done before the treatment. Inquire whether he provides emergency, after-hours treatment. This is a good idea if you have rigid working hours that continue long into the evening. Find out about his education and degrees and ask him what continued education has he taken to keep abreast with the latest changes in dental technology. Another thing to find out about the schedule of the dentist is whether he is taking new patients. Because some doctors owing to their jam-packed schedules rarely take new patients. Does he treat patients with special cases such as physical handicap, diabetes, HIV/aids, autism and special needs children? There are some dentists who treat only these cases so it might be better to look for such a dentist if the patient suffers from anyone of them. 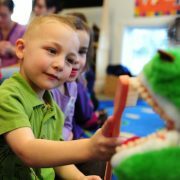 The techniques which the dentist offers as means of sedation to counter dental phobia, does he check children as well as adults, is there a payment for missed or broken appointments, need to be looked into. It is always better to find out the various types of payment plans which the dentist might be offering. Most clinics offer payment plans with no interest nowadays. If you have dental insurance, ask the dentist whether they accept it. If they do, then will they file the claims or will you have to do it? Also will he accept partial pay from you or will you have to pay the whole amount and be reimbursed by the insurance company later.